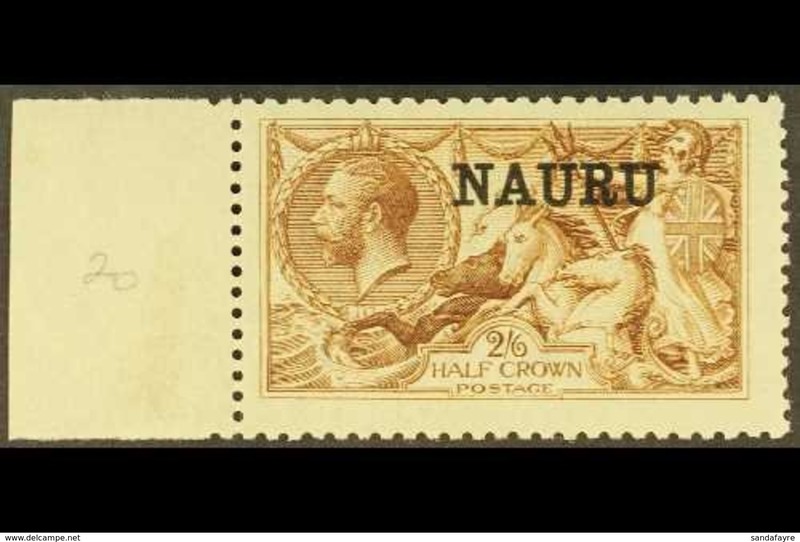 New 1916-23 5s bright carmine Seahorse, De La Rue printing, SG 22, very fine mint. 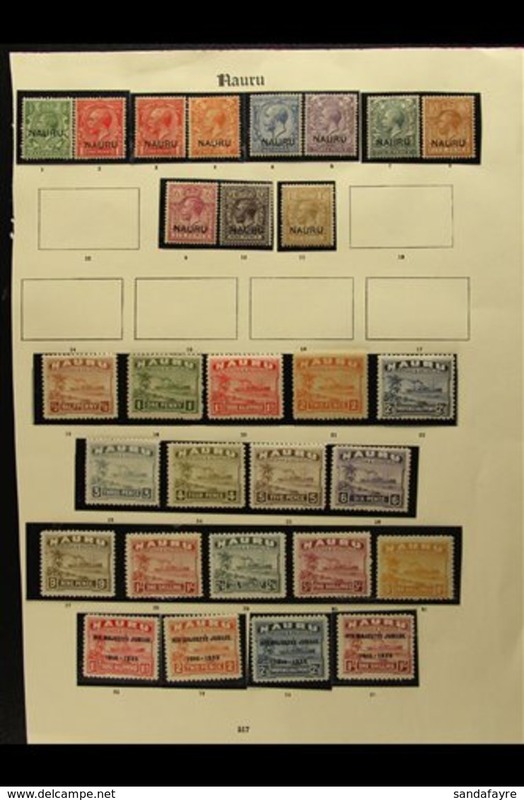 For more images, please visit http://www. 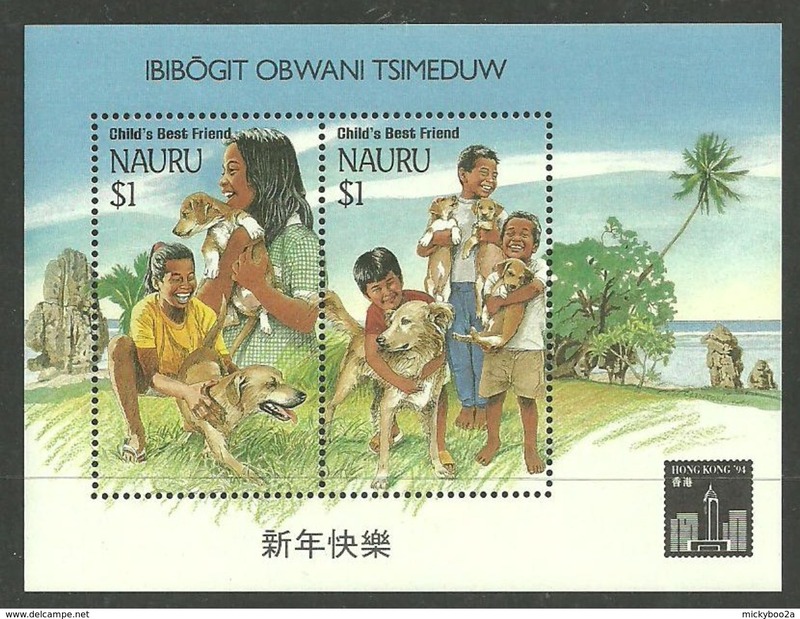 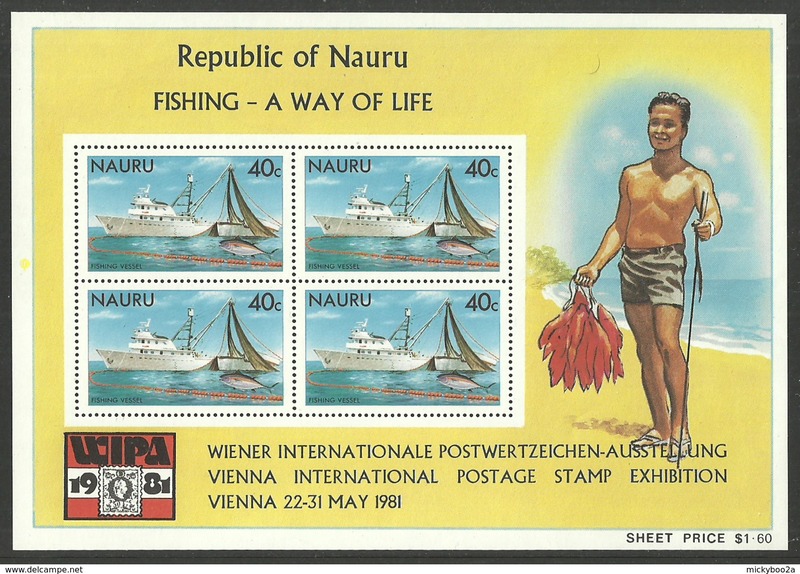 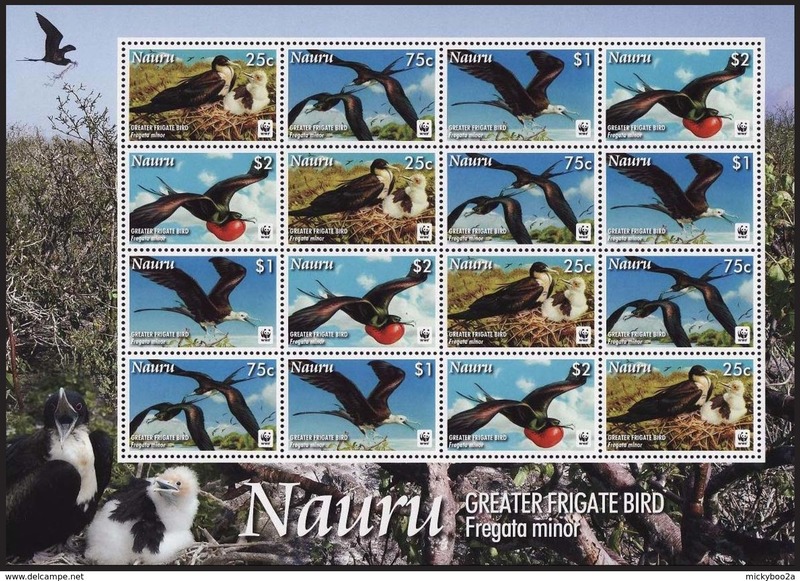 New Nauru 1984 Life in Nauru unmounted mint. 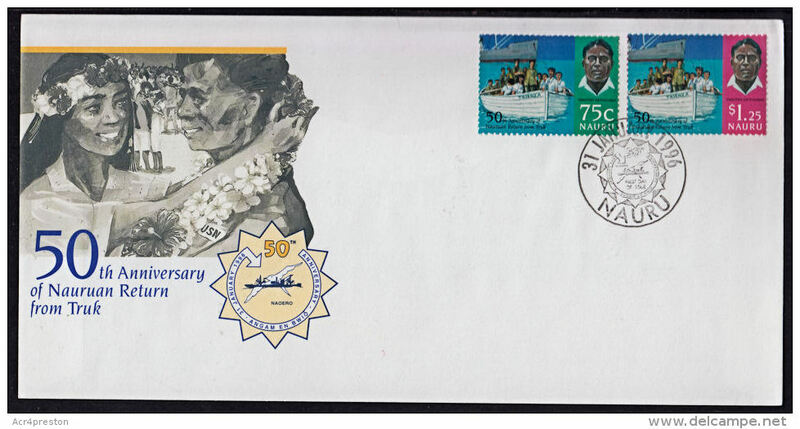 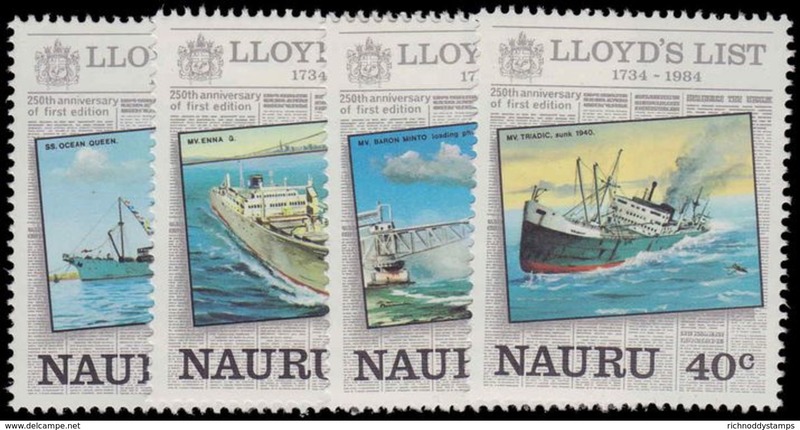 New Nauru 1984 250th Anniv of Lloyd's List (newspaper) unmounted mint. 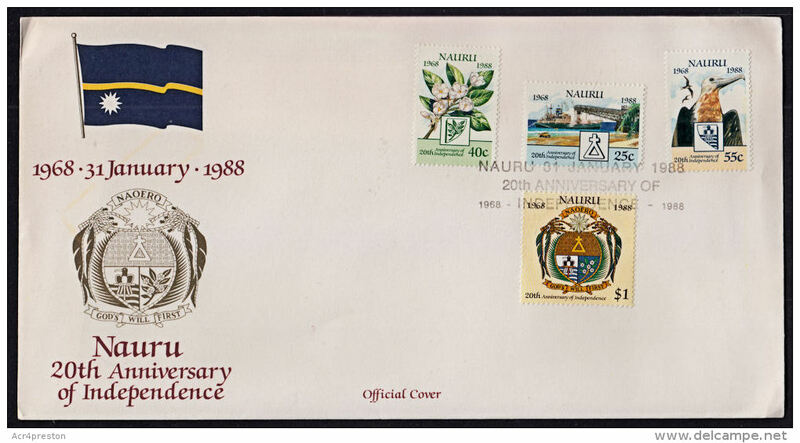 New Nauru 1980 10th Anniv of Air Nauru unmounted mint. 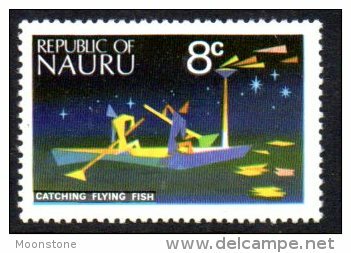 New Nauru 1979 Flight Anniversaries unmounted mint. 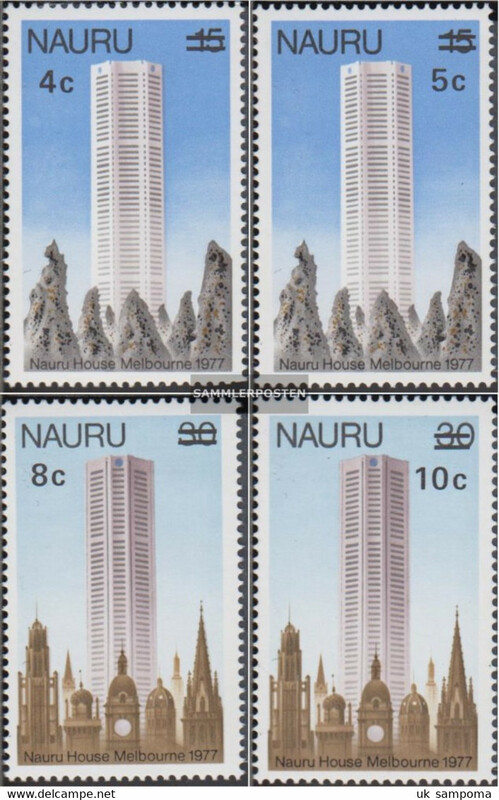 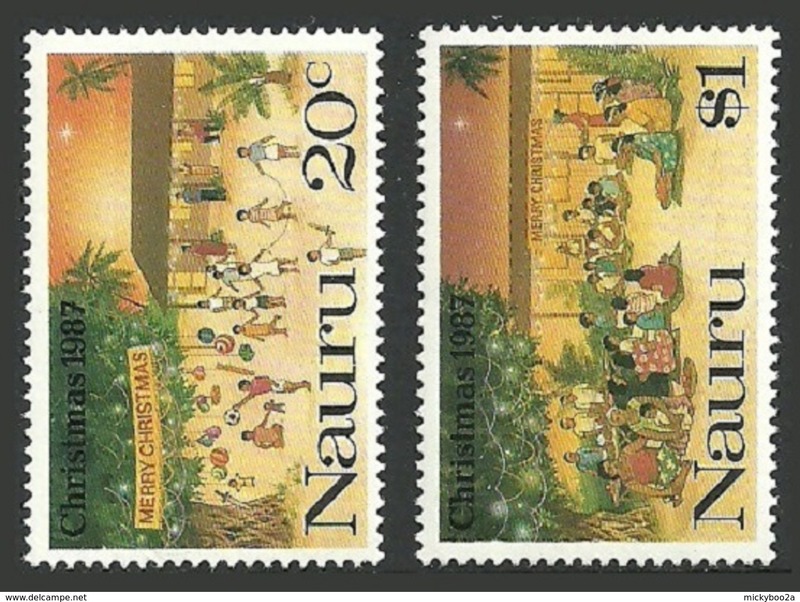 New Nauru 1978 set unmounted mint. 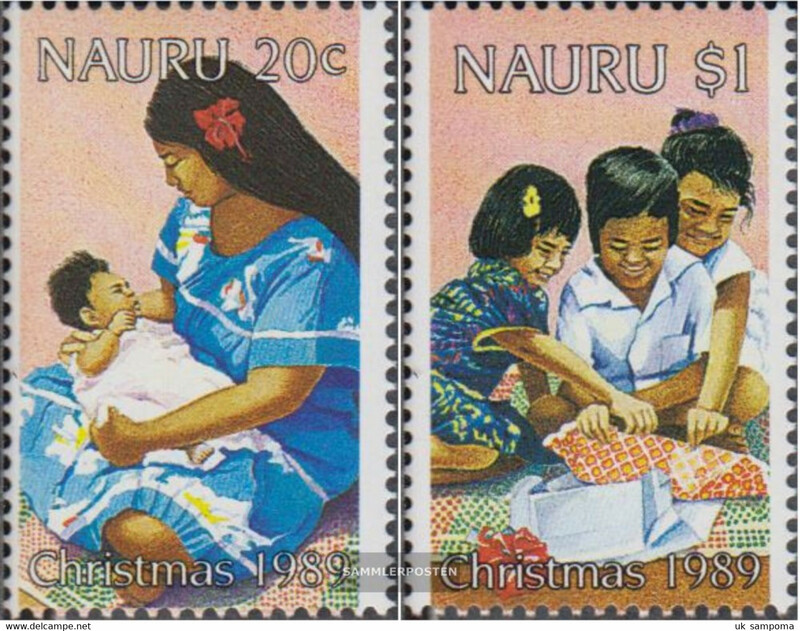 New Nauru 1976 South Pacific Forum Nauru unmounted mint. 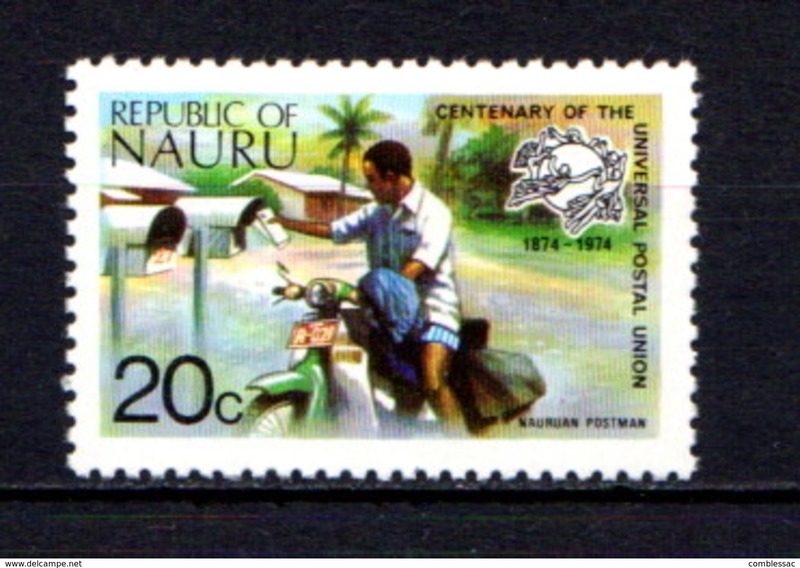 New Nauru 1976 30th Anniv of the Return from Truk unmounted mint. 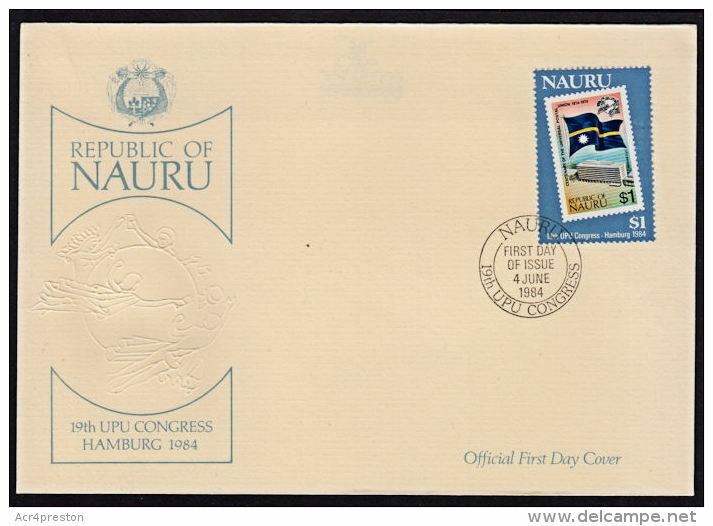 New Nauru 1975 South Pacific Commission Conference Nauru (1st issue) unmounted mint. 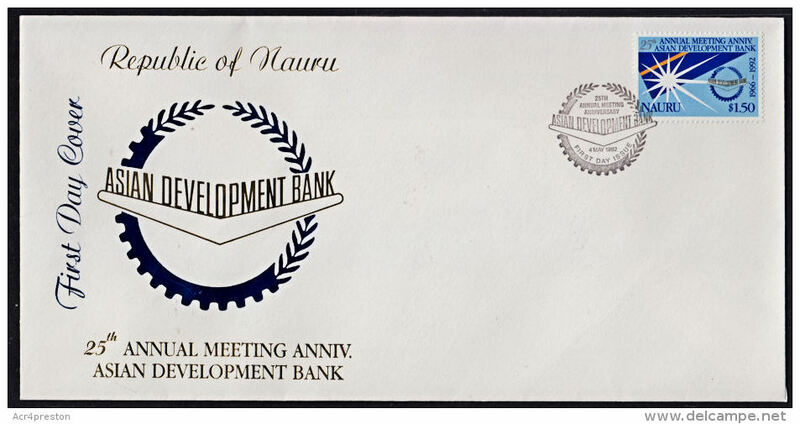 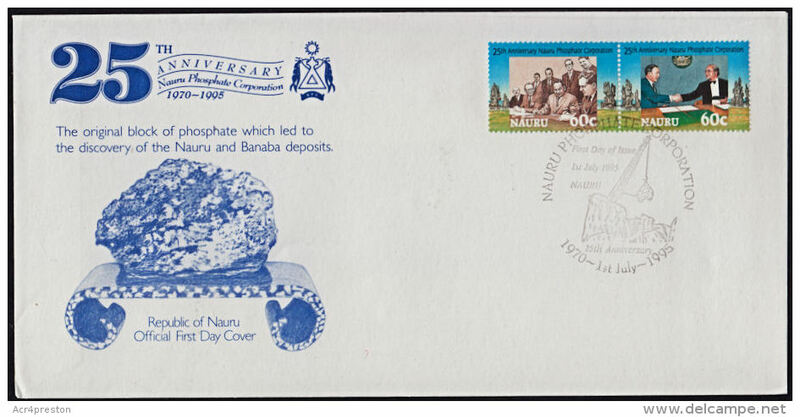 New Nauru 1975 Phosphate Mining Anniversaries unmounted mint. 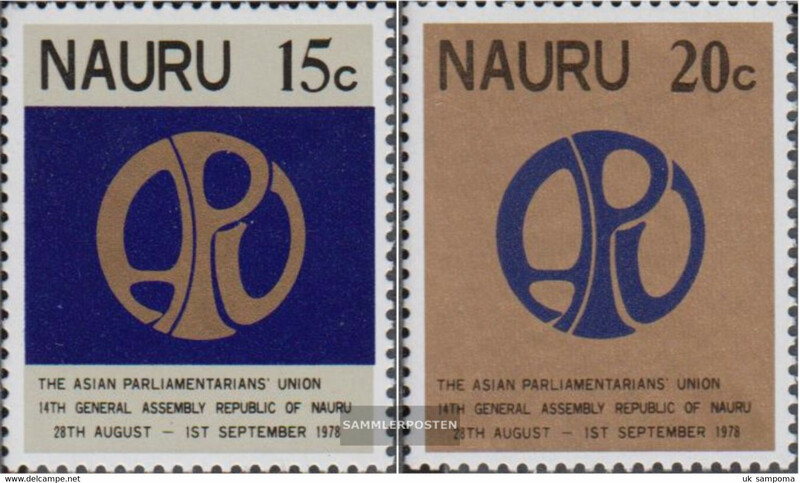 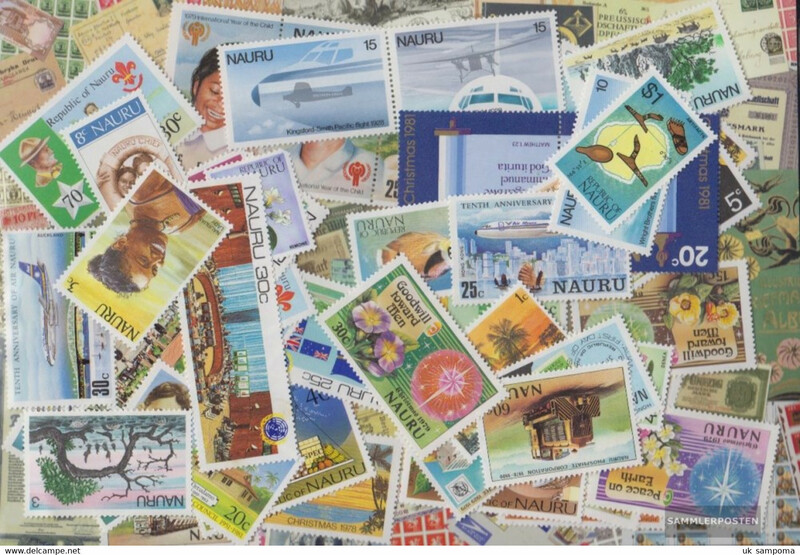 New Nauru 1973 set unmounted mint. 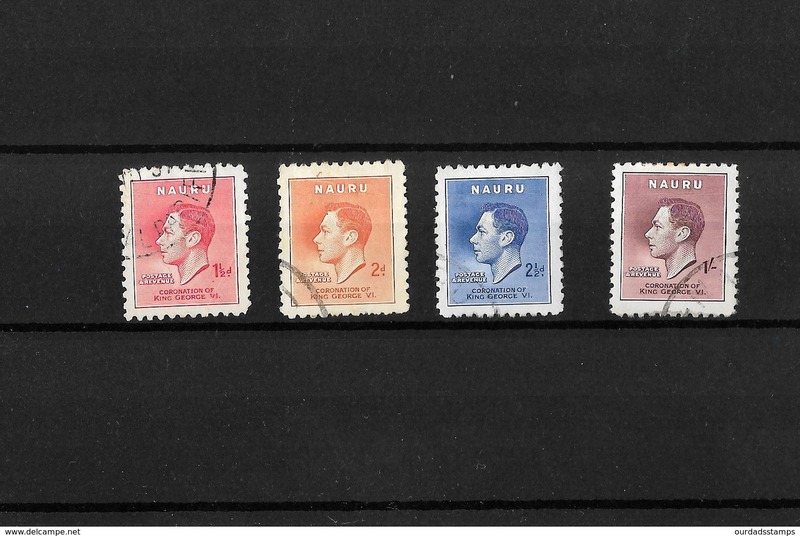 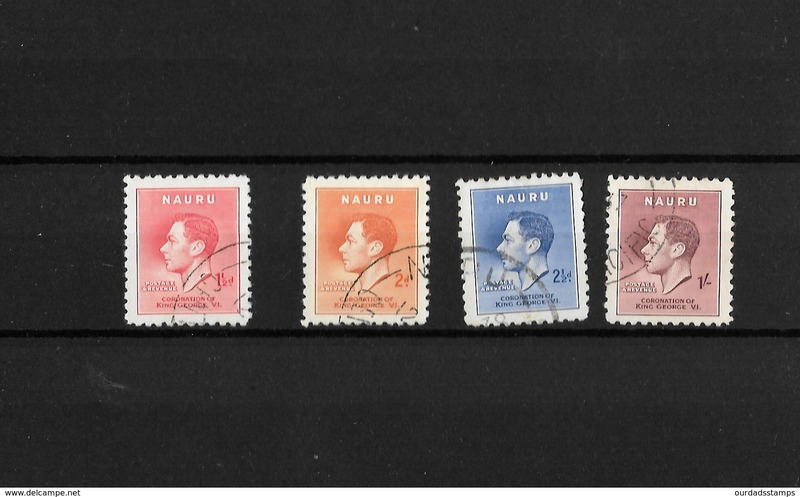 New Nauru 1963-65 set unmounted mint. 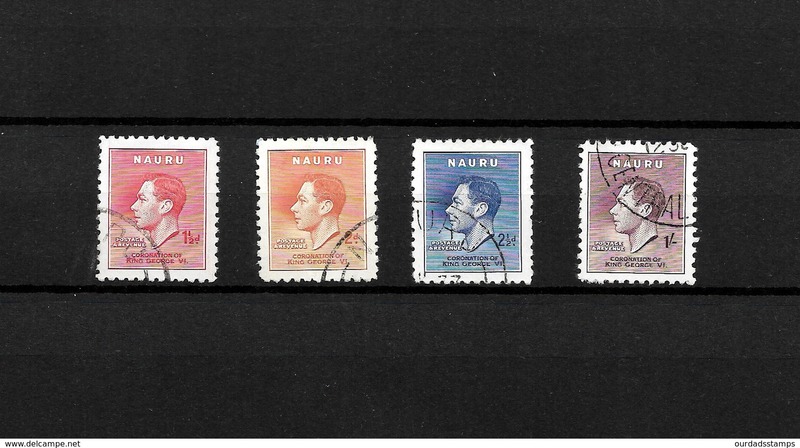 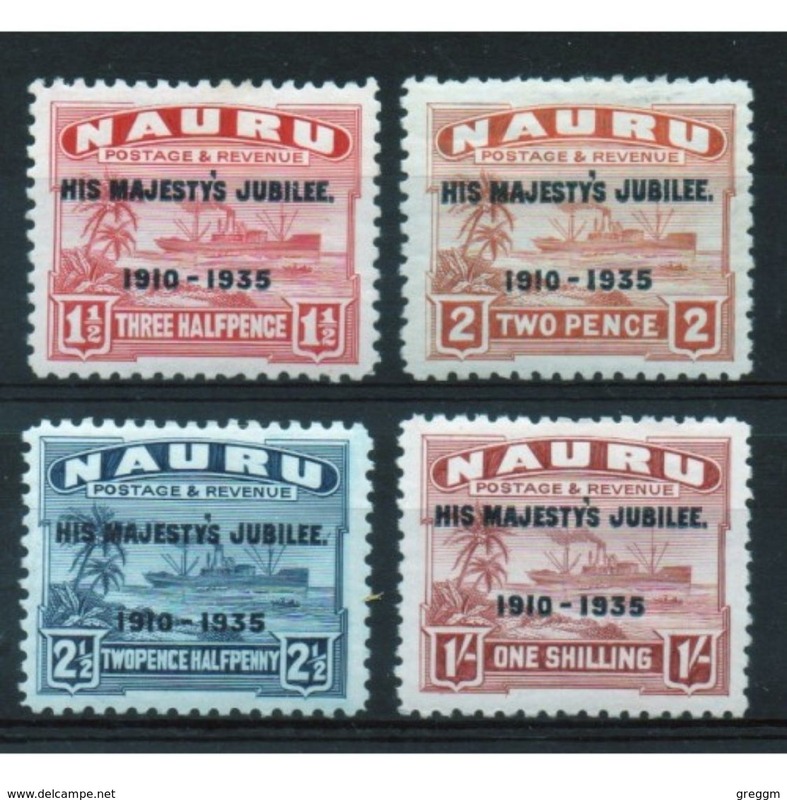 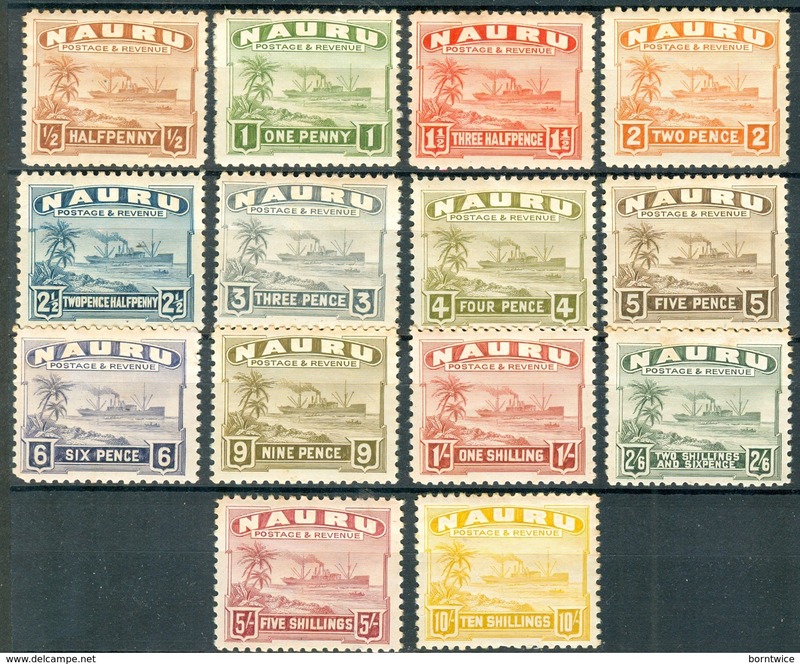 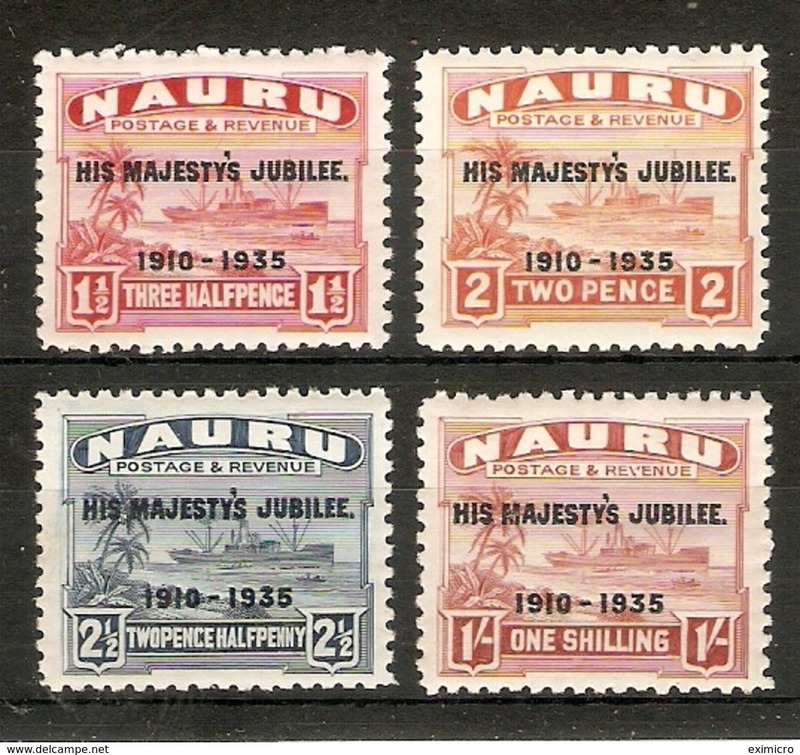 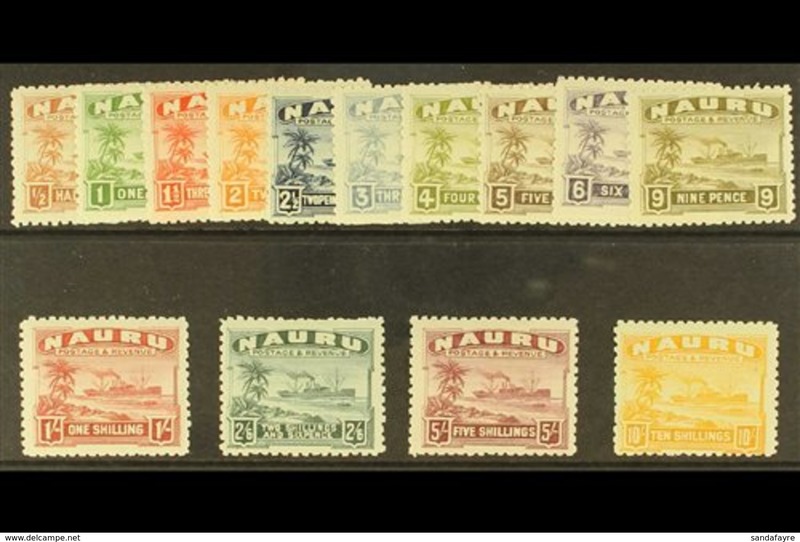 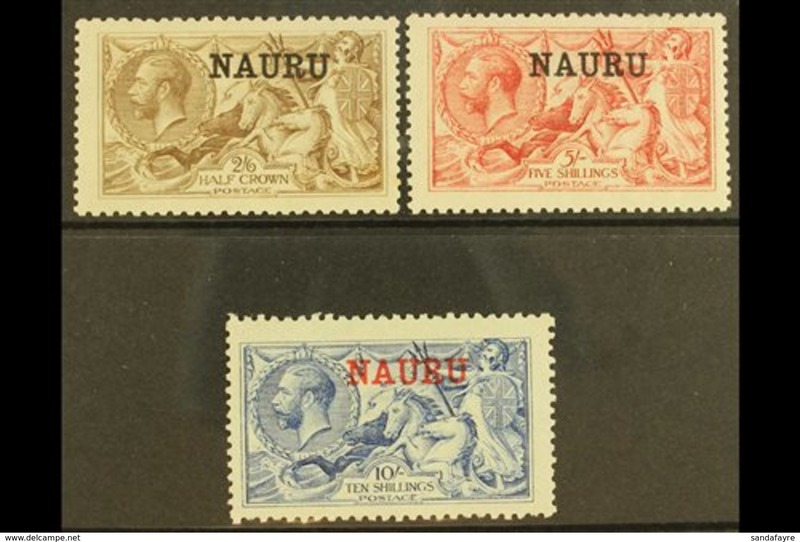 Nauru 1924-48 shiny paper set lightly mounted mint. 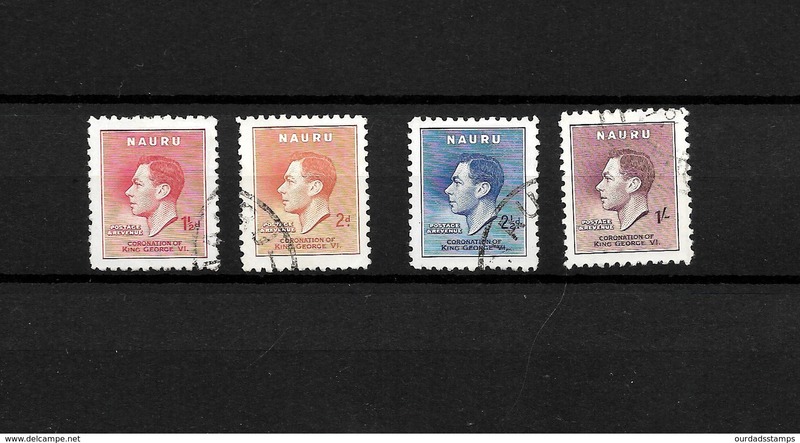 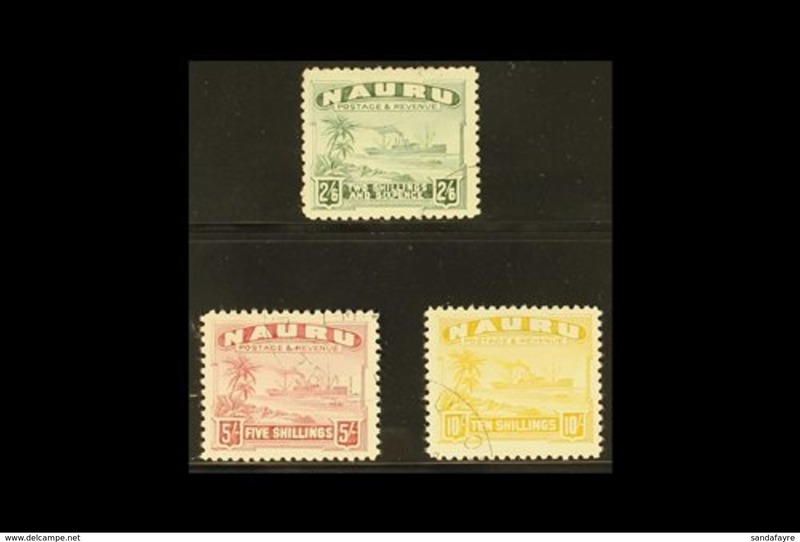 Nauru 1954 set lightly mounted mint. 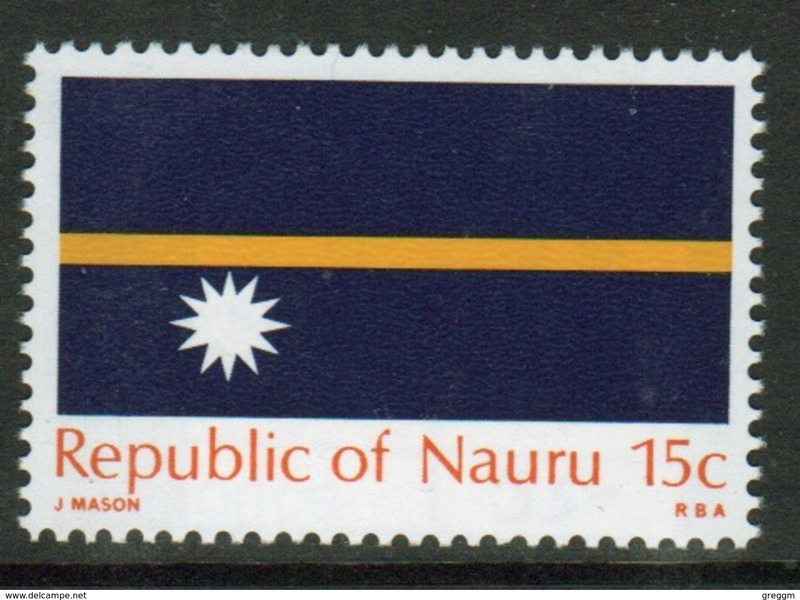 Nauru stamp from 1969 to celebrate the Flag of Independence. 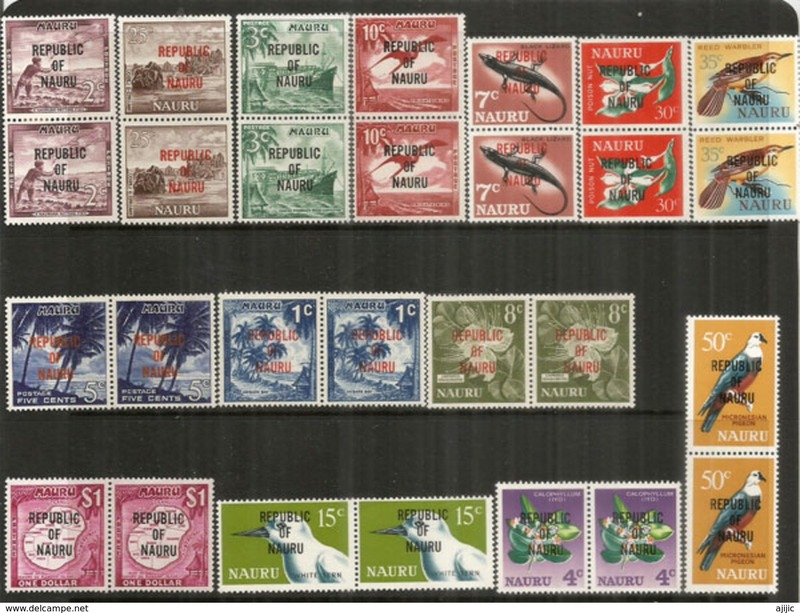 Nauru 1968 set of stamps issued to celebrate independence. 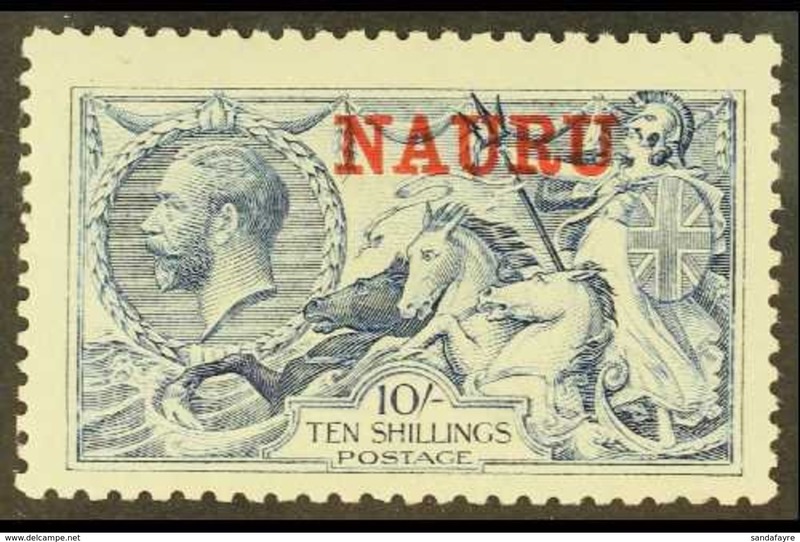 Nauru ½d definitive stamp from 1924. 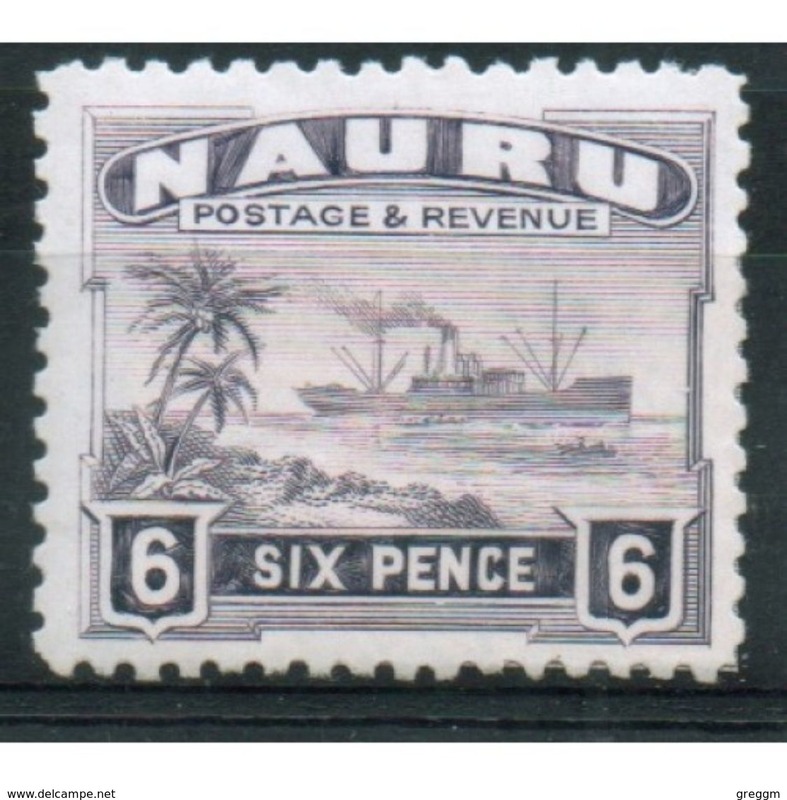 This stamp is catalogue number 26b and is in mounted mint condition. 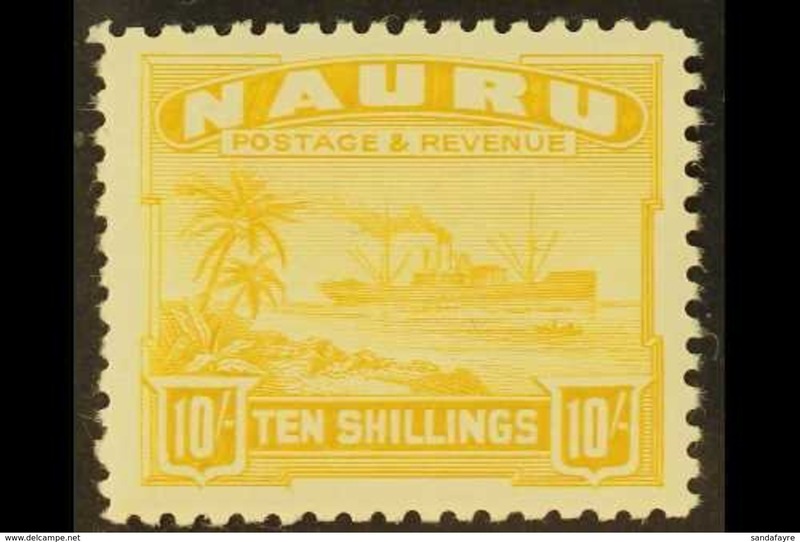 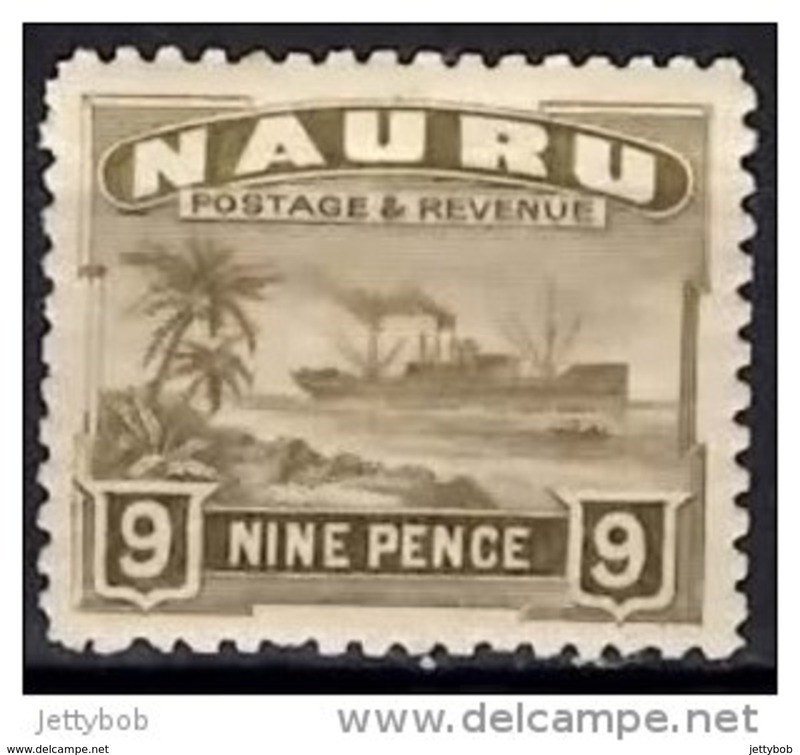 Nauru 9d definitive stamp from 1924. 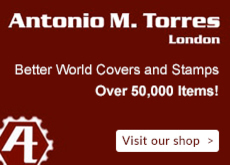 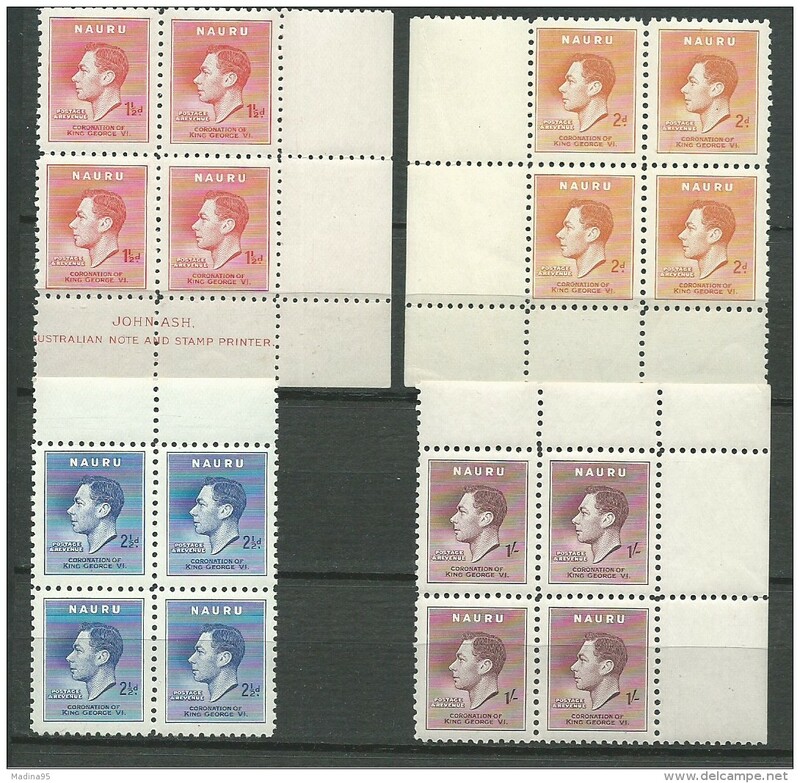 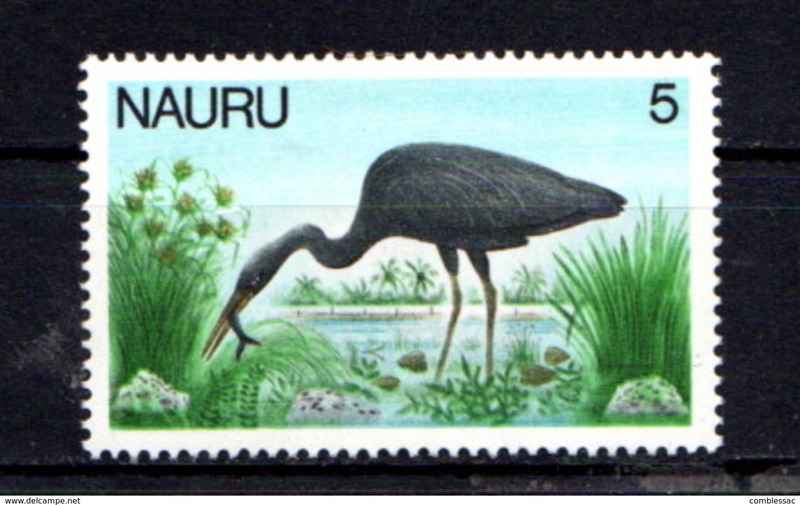 This stamp is catalogue number 35b and is in mounted mint condition. 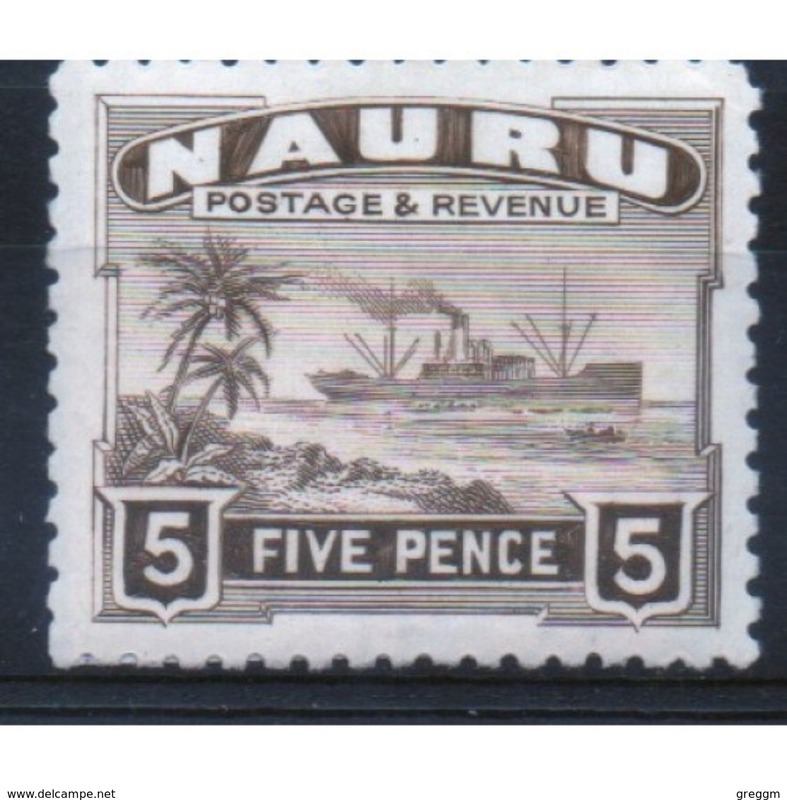 Nauru 6d definitive stamp from 1924. 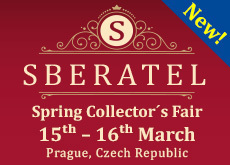 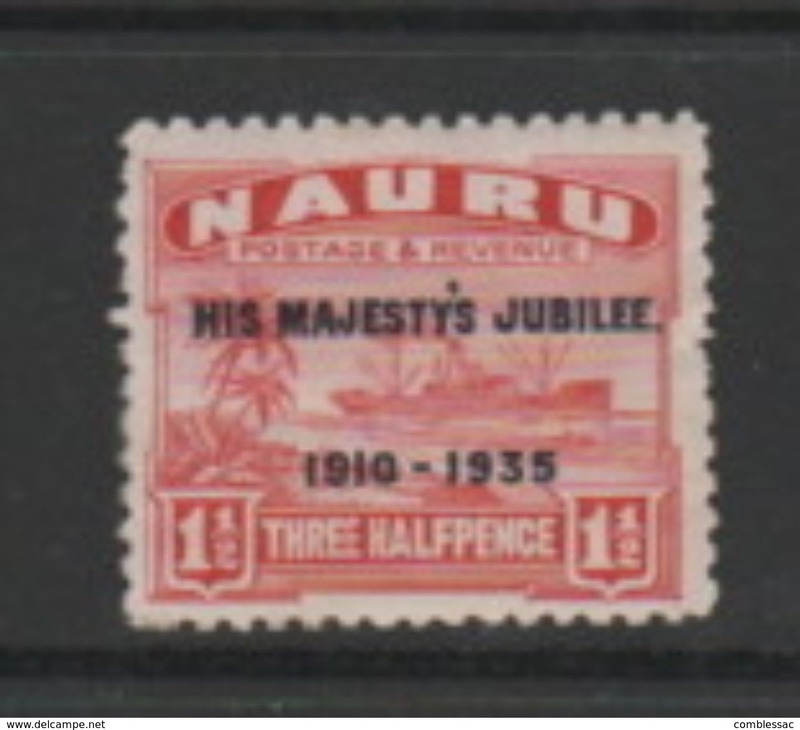 This stamp is catalogue number 34b and is in mounted mint condition. 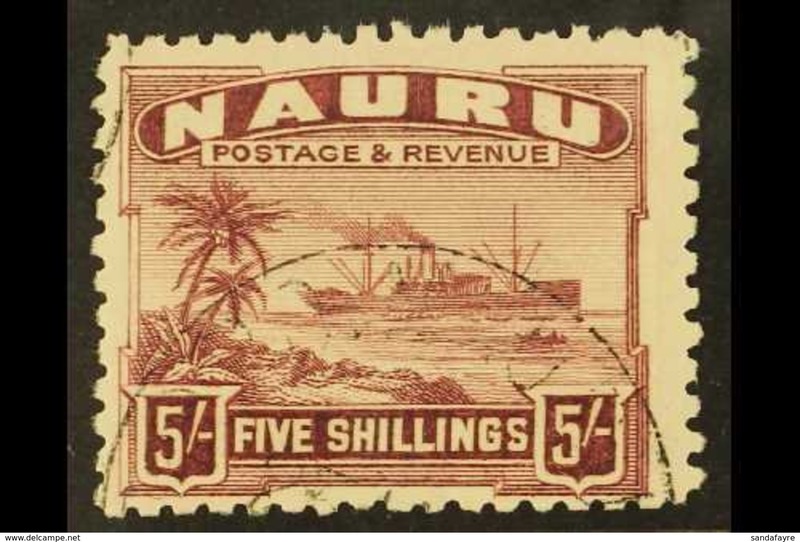 Nauru 5d definitive stamp from 1924. 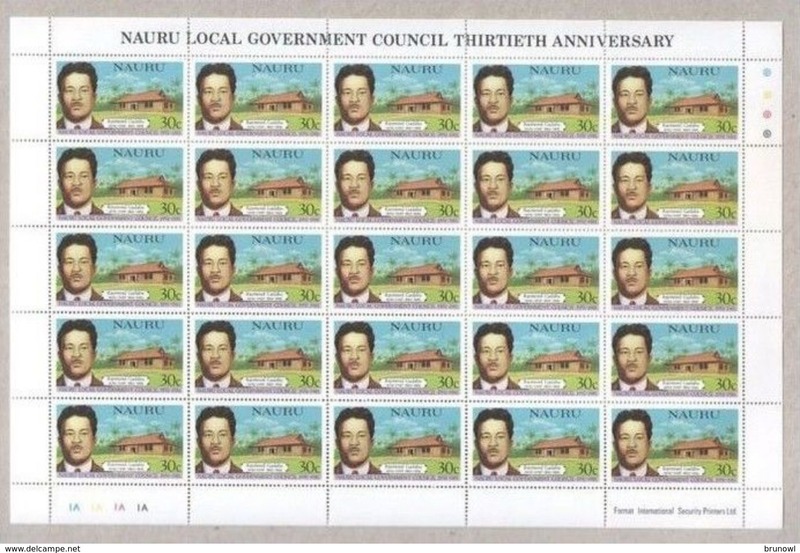 This stamp is catalogue number 33b and is in mounted mint condition. 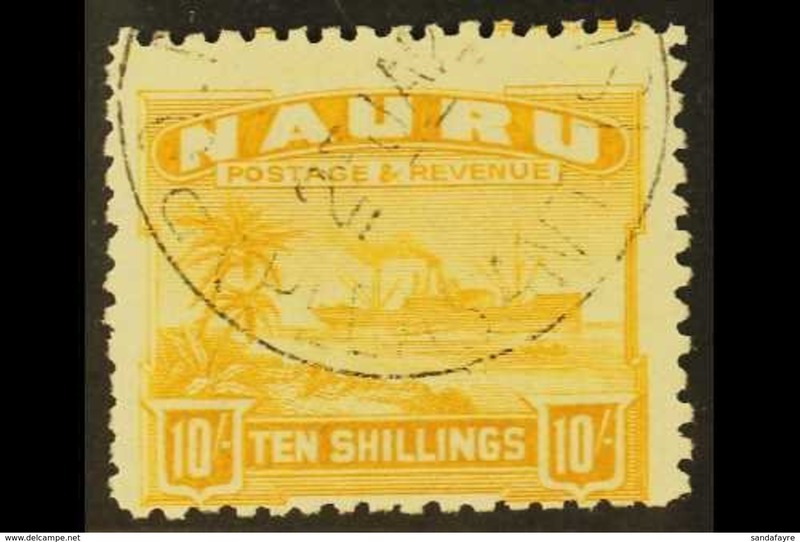 Nauru 4d definitive stamp from 1924. 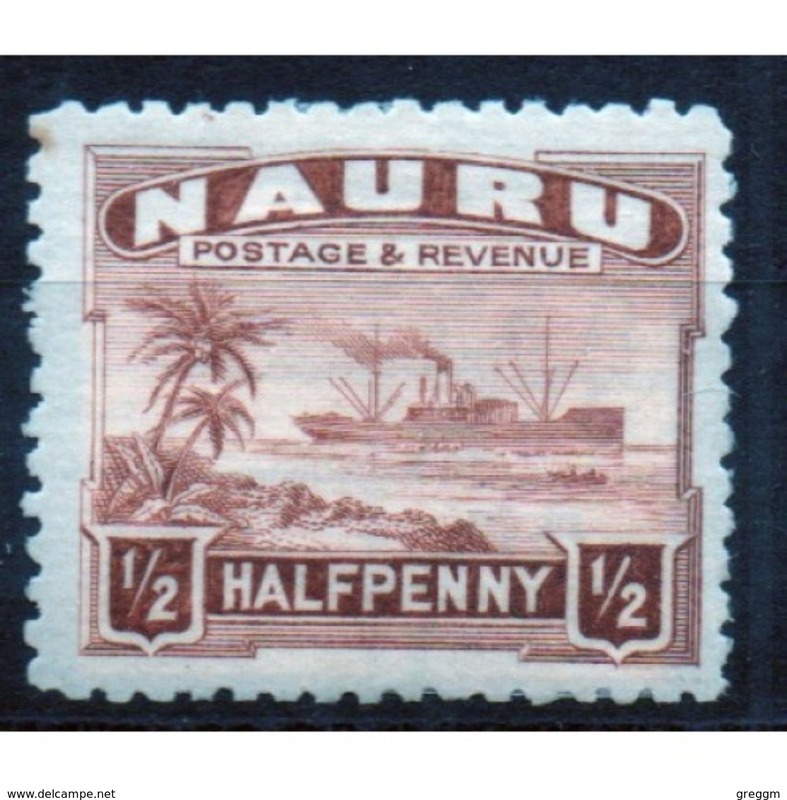 This stamp is catalogue number 32b and is in mounted mint condition. 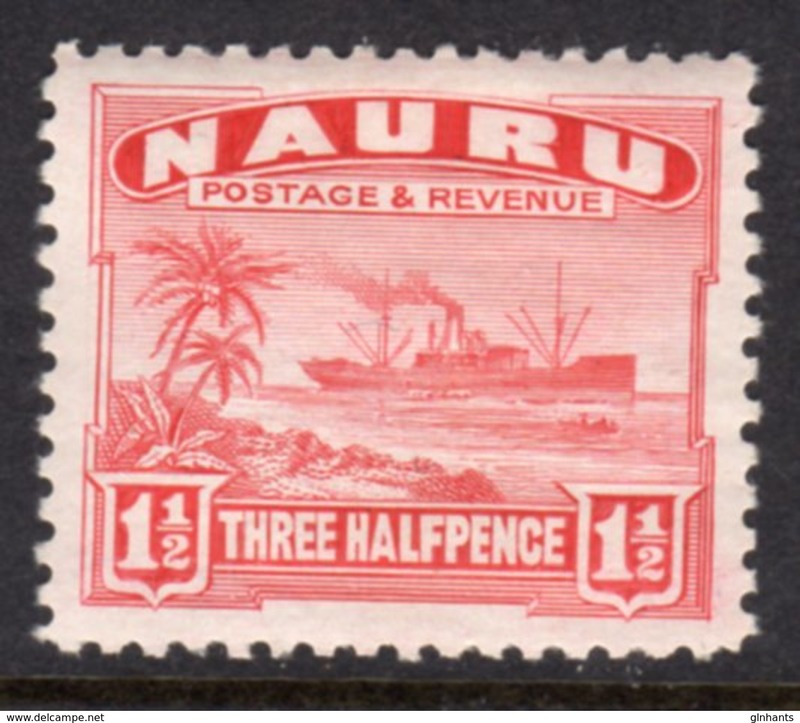 Nauru 3d definitive stamp from 1924. 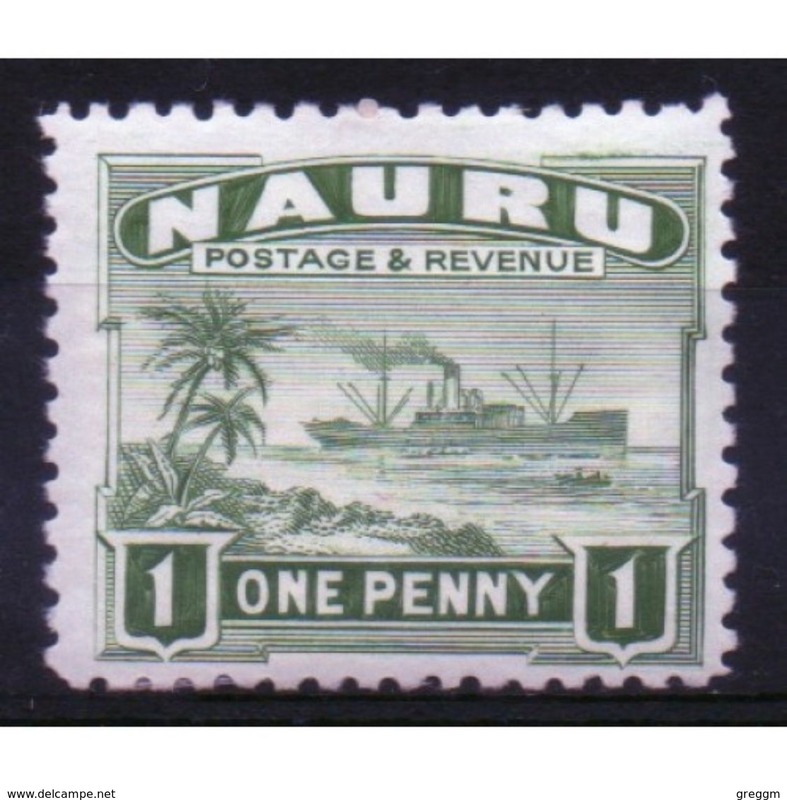 This stamp is catalogue number 31b and is in mounted mint condition. 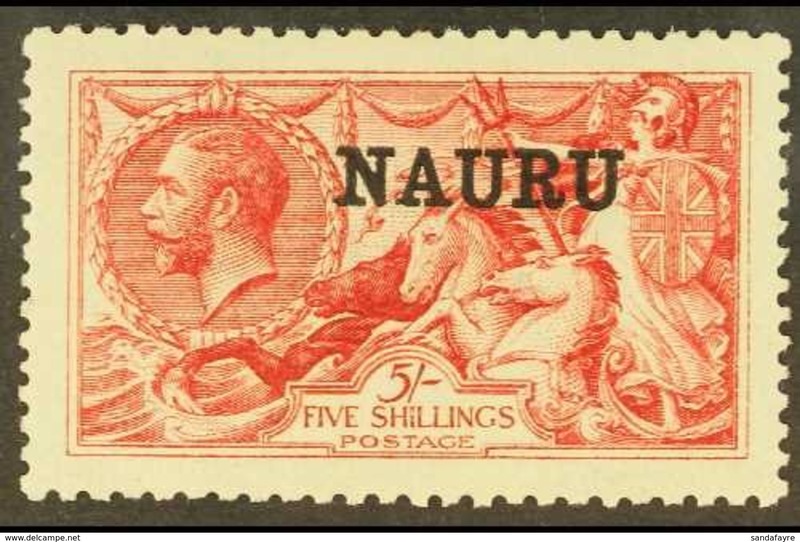 Nauru 5d definitive stamp from 1924. 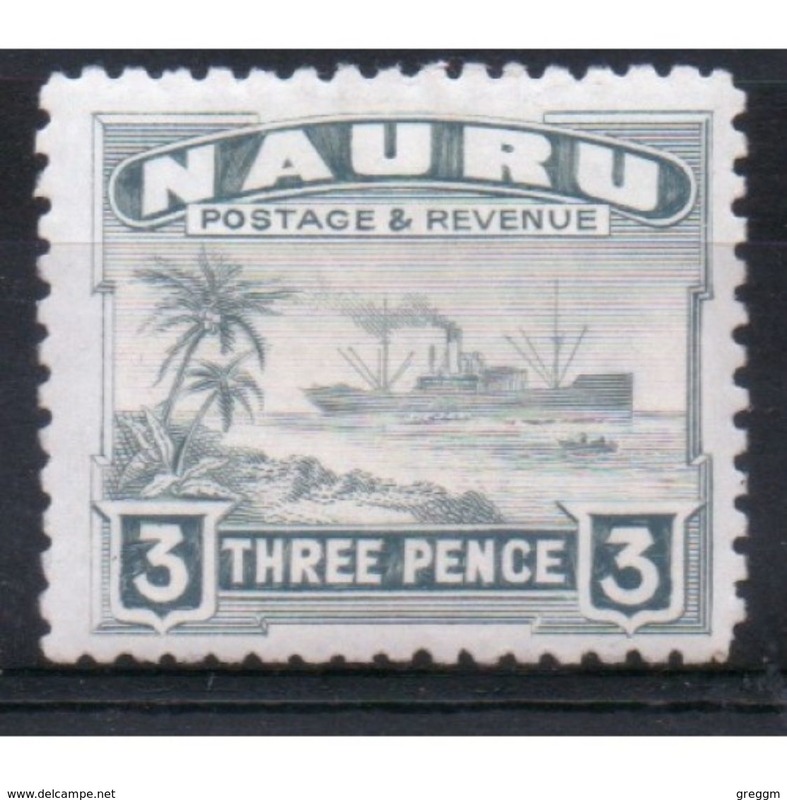 This stamp is catalogue number 33a and is in mounted mint condition. 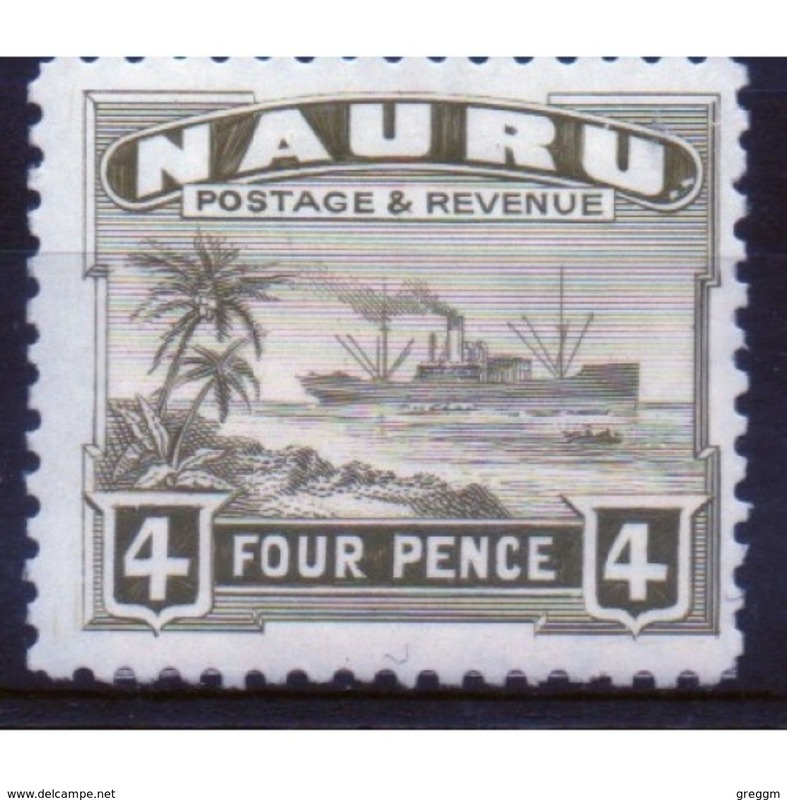 Nauru 4d definitive stamp from 1924. 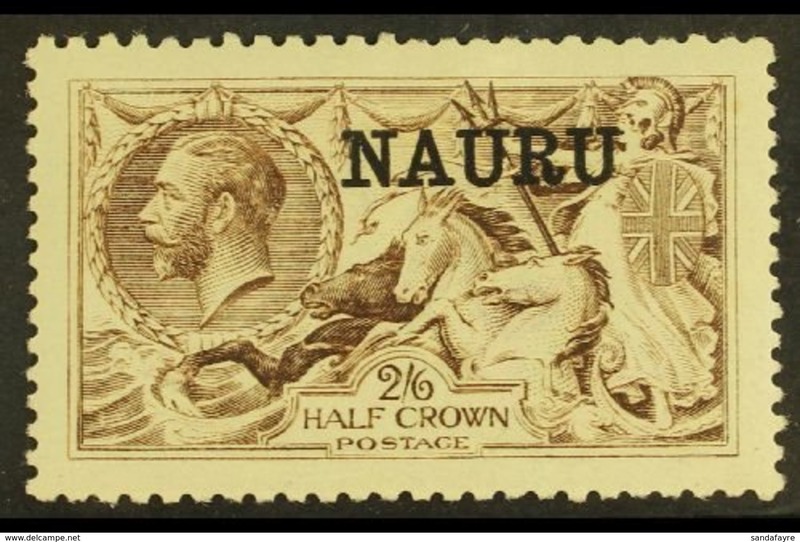 This stamp is catalogue number 32a and is in mounted mint condition. 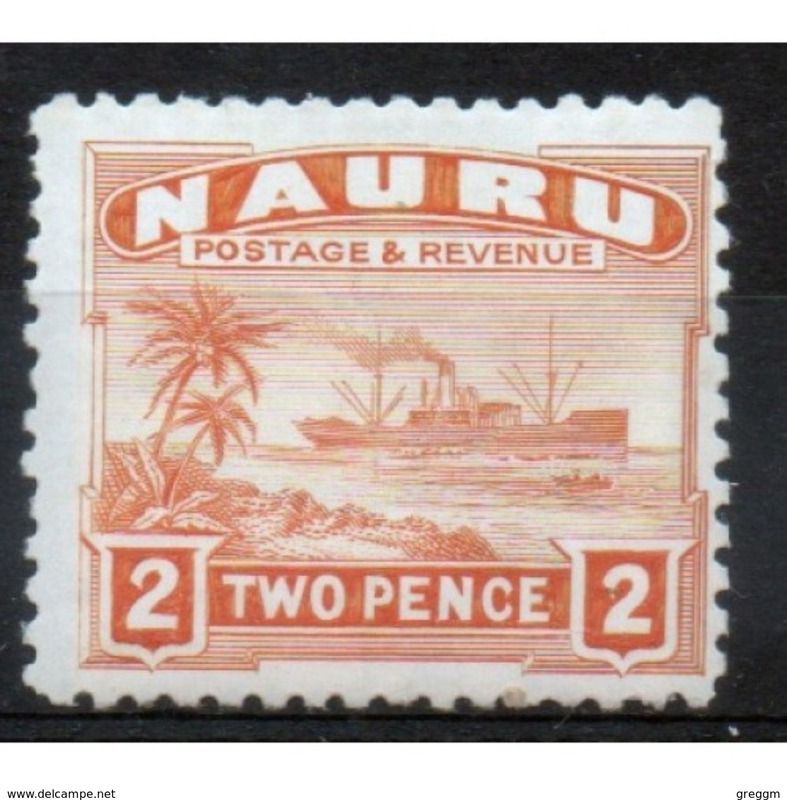 Nauru 2d definitive stamp from 1924. 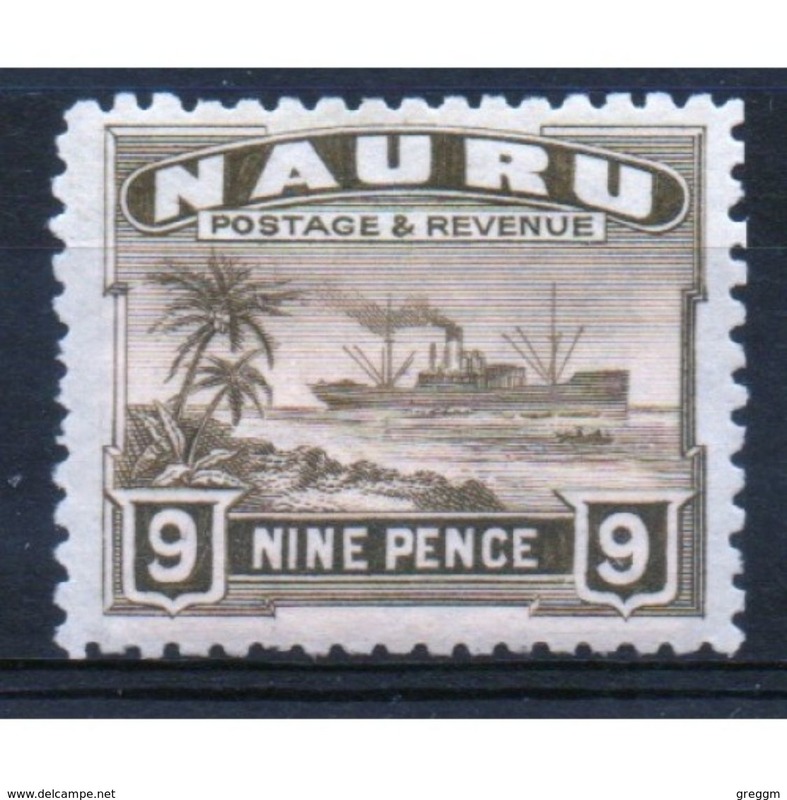 This stamp is catalogue number 29a and is in mounted mint condition. 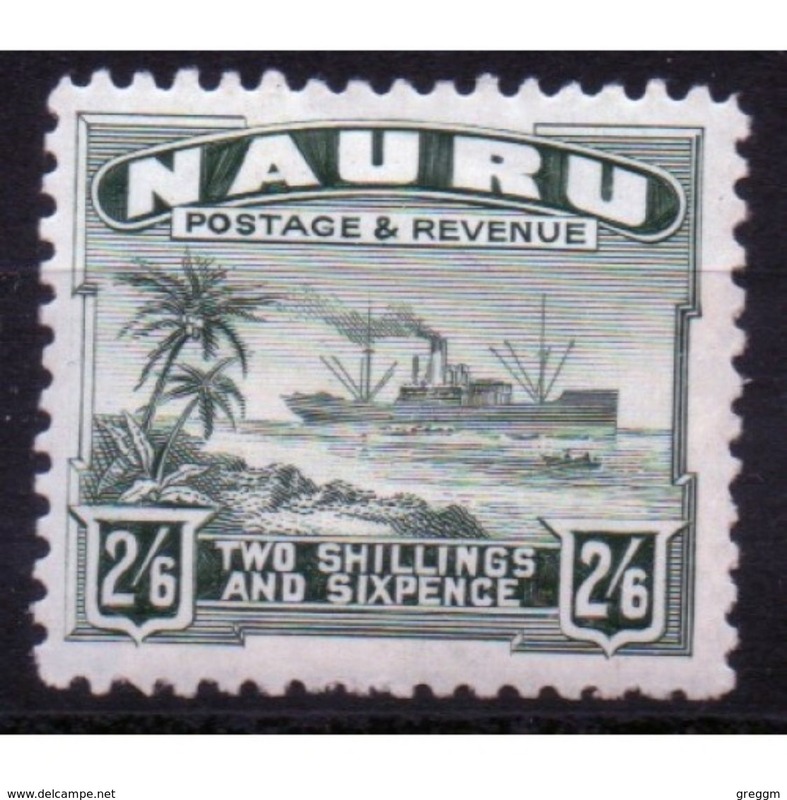 Nauru 1d definitive stamp from 1924. 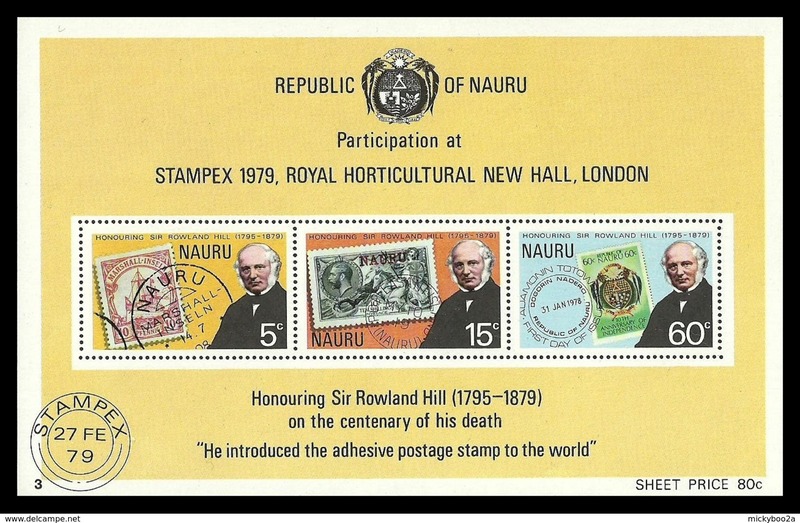 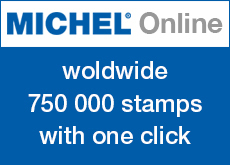 This stamp is catalogue number 27a and is in mounted mint condition. 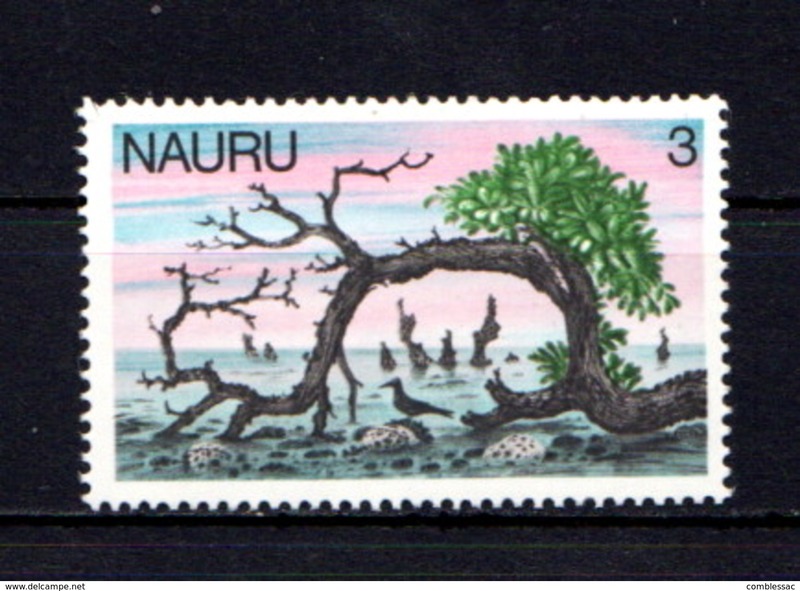 Nauru 1985 Nauru Phosphate Coroporation unmounted mint. 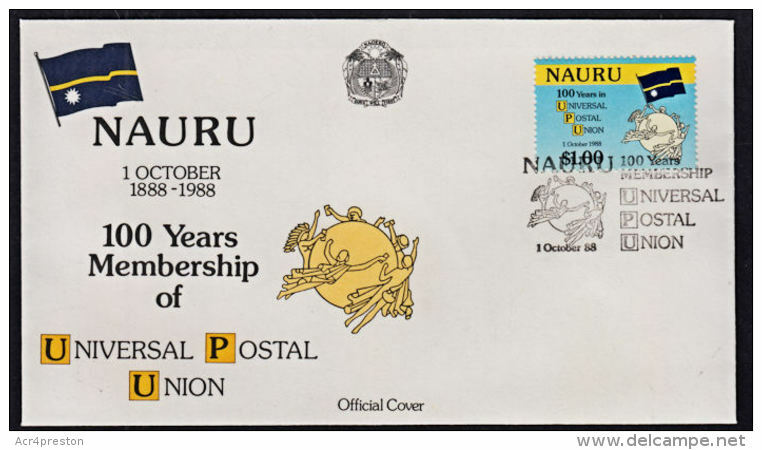 Nauru 1985 Air Nauru unmounted mint. 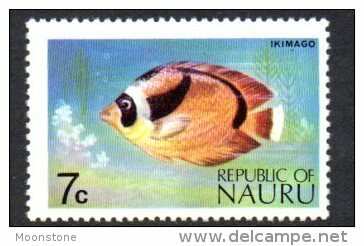 Nauru 1982 Ocean Thermal Energy Conversion unmounted mint. 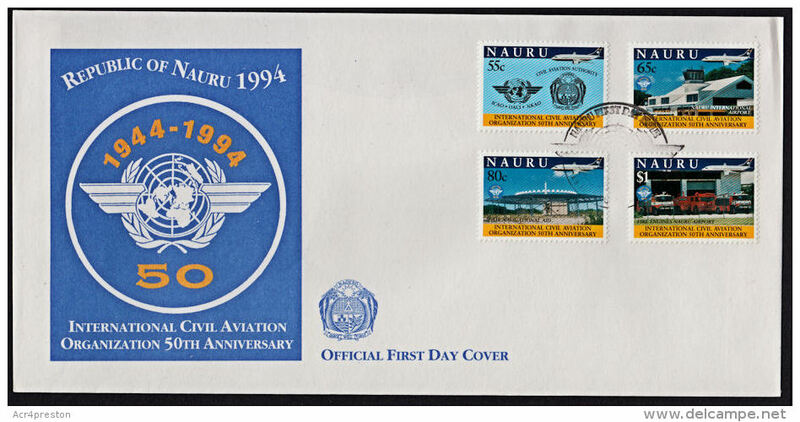 Nauru 1994 Civil Aviation unmounted mint. 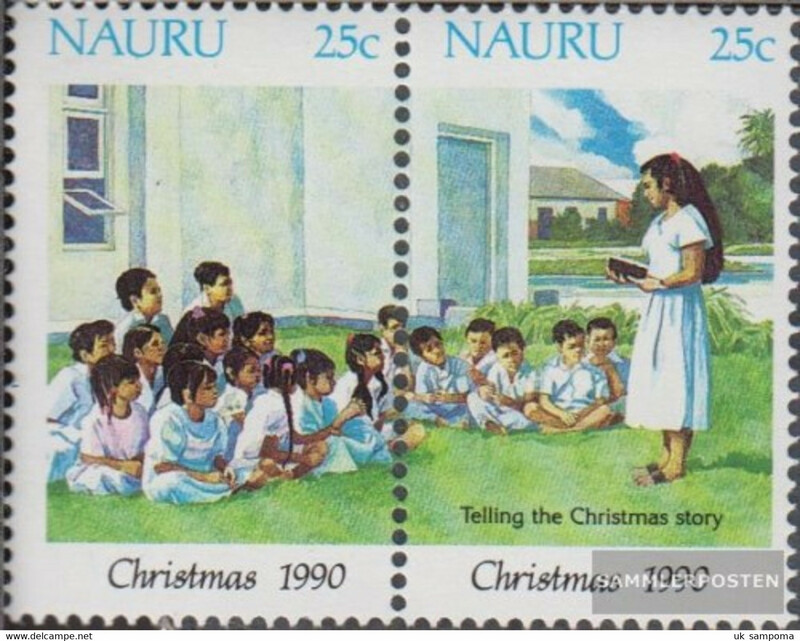 Nauru 1984 Christmas unmounted mint. 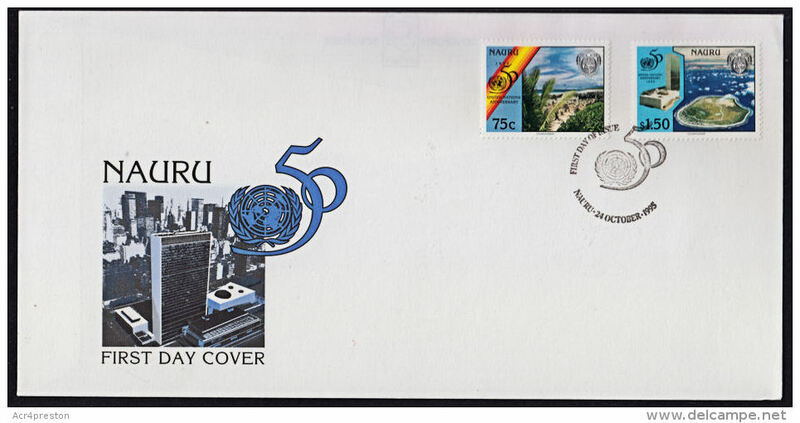 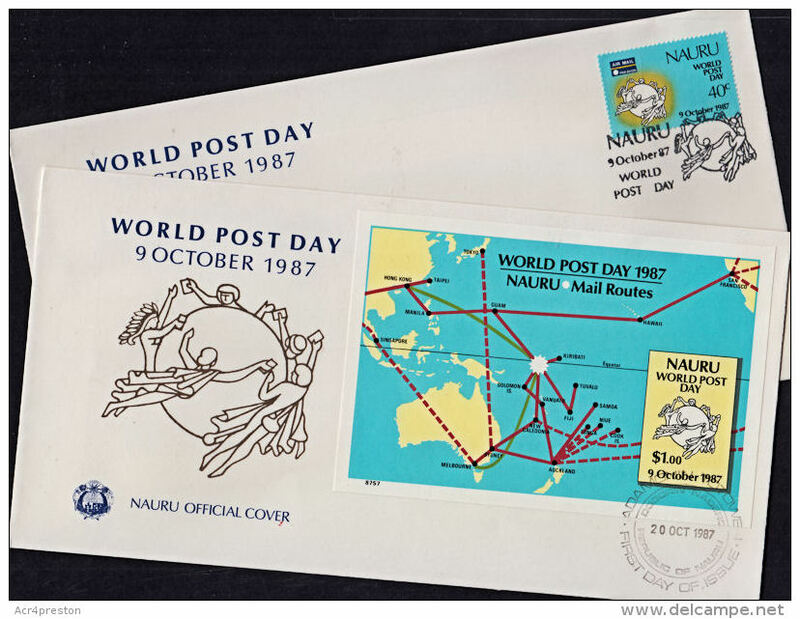 Nauru 1983 World Communications Year unmounted mint. 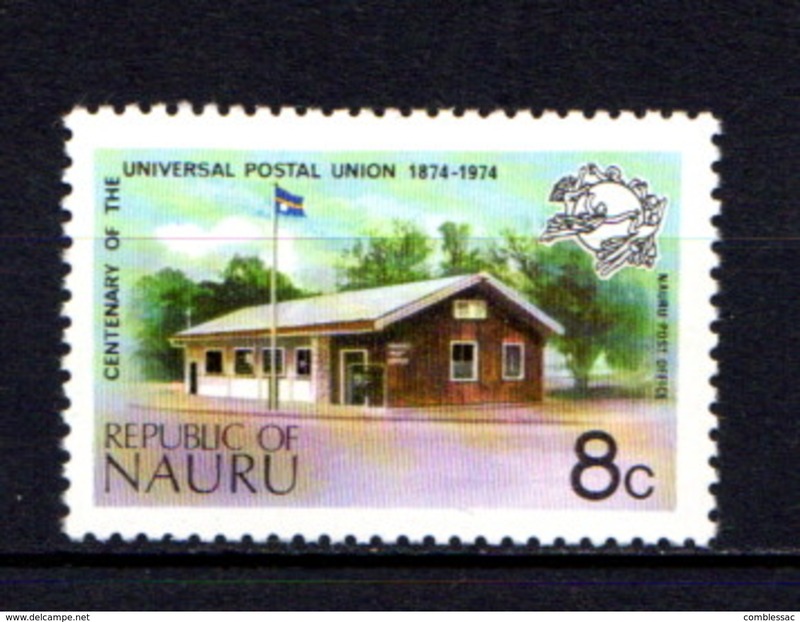 Nauru 1978-79 set less 4 1979 values unmounted mint. 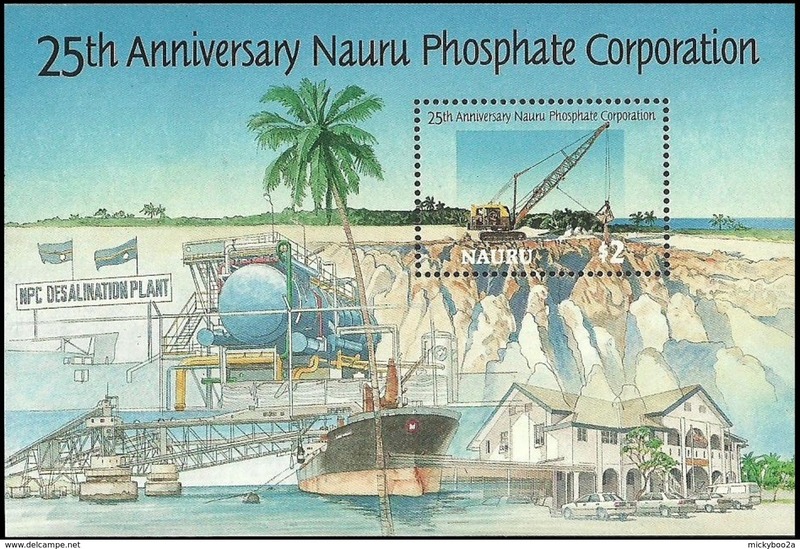 Nauru 1982 75th Anniv of Phosphate Shipments unmounted mint. 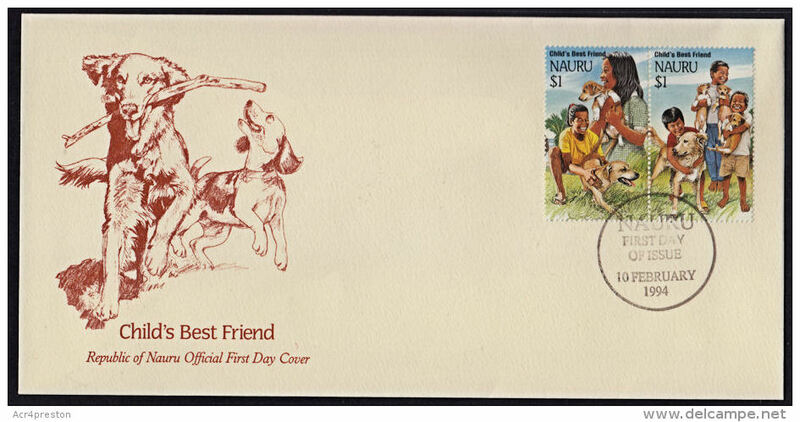 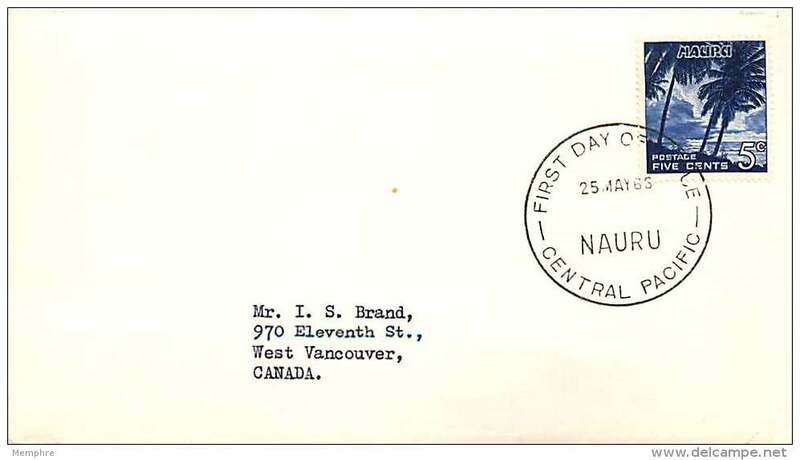 Nauru 1974 175th Anniv of First Contact with the Outside World unmounted mint.